Every year Division 42 recognizes outstanding psychologists for their work on behalf of independent practice of psychology, and in mentoring colleagues. This year we received many nominations, resulting in a competitive selection process. Here are the winners, along with highlights of their accomplishments, written by colleagues who nominated them. It is with great pleasure that I would like to nominate Dr. David Shapiro for the Distinguished Psychologist of the Year Award. As I reviewed the criteria for this award, I realized that Dr. Shapiro clearly meets every requirement and then some. He has had an exemplary career since he earned his Ph.D in Clinical Psychology from the University of Michigan in 1972. He is licensed in 5 states and has devoted a significant portion of his time in the direct provision of services, both clinically, forensically and academically. He is the recipient of several awards, including Distinguished Contribution to Forensic Psychology in 1986, Distinguished Practitioner in Psychology, National Academies of Practice in 2000 and Distinguished Contribution to Psychology by the California Psychological Association in 2001. Dr. Shapiro has been a Diplomate in Forensic Psychology since 1979 and has achieved Follow status in Divisions 41, 42 and 46 of the American Psychological Association. He has been very active in Division 42, having served on our Board, and has been active in organizing the Forensic section of the Division 42 Fast Forward conferences. 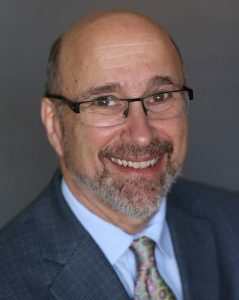 He has chaired numerous committees in a number of State Psychological Associations, including the ethics committees of the American Board of Professional Psychology and The Broward County Chapter of the Florida Psychological Association. In addition he has been President of Division 46 of APA, Membership Chair of the National Academies of Practice and a member of the International Scientific Committee of the International Association of Law and Mental Health. Interestingly, he was an Adjunct Professor at the New York Law School from 2008-2013. As noted above, Dr. Shapiro has extensive experience in numerous areas of Psychology. He has touched so many lives through his work in private practice, in academia where he has taught extensively, particularly in the area of Forensics and been the Coordinator of the Psychology Training Program, Center for Forensic Psychiatry in Ann Arbor, Michigan. Dr. Shapiro’s writings are extensive and include over 60 journal articles and publication of several books and chapters in others. He has presented at over 150 conferences/seminars both nationally and internationally, including Canada, Sweden, Spain, and Romania. He has also served on the editorial boards for the Journal of Child Custody, the Journal of Family Violence and the Journal of Criminal Psychology. There is no question that Dr. Shapiro’s work has had an enormous impact on patients, colleagues, and students throughout the world. His work in the field of forensics has generally been focused on the protection of others who have suffered trauma at the hands of others and teaching about ethical practices in Psychology. Dr. Shapiro has always made himself available to guide/mentor others on both a formal and informal basis. He is also a lover of good food, travel and his family. And, in general, he is truly, a nice guy! There is no question in my mind that Dr. Shapiro deserves this very prestigious award of Distinguished Psychologist of the Year in Division 42. It is my great pleasure to offer this letter in support of the nomination of Dr. Jeffrey Zimmerman as psychologist Mentor of the Year in Division 42. Dr. Zimmerman has dedicated his career to mentoring independent practitioners and those who are preparing for or planning to enter independent practice. Dr. Zimmerman has made countless contributions to the successful independent practices of so many colleagues and trainees through is mentoring of graduate students, his mentoring of early career psychologists, his mentoring of colleagues in independent practice, through his professional writing, through his many presentations and trainings, and through The Practice Institute. Dr. Zimmerman’s contributions to the literature on independent practice include both journal articles and books with major publishers such as Oxford University Press. His publications have influenced and provided valuable resources to multiple generations of independent practitioners and trainees. Examples of his major contributions as a mentor include If you build it they will come and other myths about private practice for mental health professionals, The handbook of private practice, Financial management for your mental health practice: Key concepts made simple, and The ethics of private practice: A practical guide for mental health clinicians, and many other publications. Dr. Zimmerman has given countless presentations at professional conferences that focus on how to establish and run a successful independent practice. As a dedicated, caring, and skilled mentor, it is no surprise that attendees line up to speak with Dr. Zimmerman at the end of each of his presentations. And, he takes whatever time is needed to speak with each of them and to provide them with individual mentoring and guidance. Additionally, Dr. Zimmerman provides outstanding and extensive mentoring in his role as Editor of the Division 42 journal,Practice Innovations. Dr. Zimmerman encourages authors, provides them with expert guidance, and actively mentors them. This is especially true with first-time authors. He makes what could be a very daunting experience into a very positive, educational, and helpful process that results in a very important professional growth experience for prospective authors. Dr. Zimmerman is one of the founding principals of The Practice Institute. In that capacity he provides outstanding mentoring to countless early career psychologists who are in need of support, assistance, and information on how to establish and run a successful independent practice. Dr. Zimmerman has been very innovative in this regard, offering numerous resources to make the process of entering and succeeding in independent practice more accessible and manageable for those new to this endeavor. Dr. Zimmerman also has been an adjunct faculty member in the PsyD program of the Florida Institute of Psychology. There he developed a new course “Building a private practice from the ground up.” He also has created numerous other courses for early career psychologists and for practicing psychologists with an interest in pursuing independent practice. I hope it is evident what significant and lasting contributions Dr. Zimmerman has made as a mentor who has helped so many students, ECPs, and colleagues to be successful in independent practice. Dr. Zimmerman has given of himself selflessly to so many individuals, sharing his wisdom and expertise developed in his almost 40 years in independent practice. I can think of no one more deserving of the recognition as Division 42’s Psychologist Mentor of the Year.